I’ve never been a fan of birth plans – the written kind you present to your birth attendants or hospital staff. I’ve long suspected that a written birth plan is elusive –something that the expectant mother emphasizes as security for the birth she wants, but is never taken seriously (or even read) by anyone other than herself. When the focus of the birth is on the medical process and the patient’s condition, the staff is there to implement the policies and procedures, regardless of a woman’s plan that was presented. It seems that the “birth plan” is something people believe will give them security during a birth outside the home. 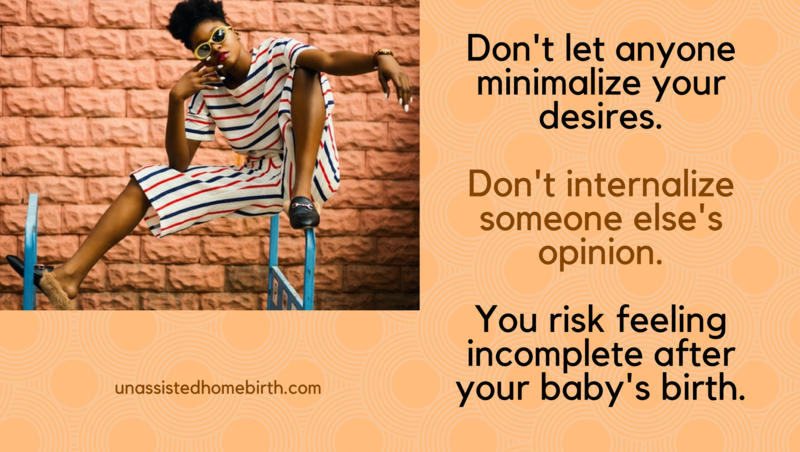 Although unassisted birthers have their plans in their mind and don’t make use of a written birth plan, I have some strong opinions on birth plans that I would like to share. First of all, I think a birth plan takes focus off of a woman needing to be assertive. A written piece of paper is a substitute for the expectant mother standing up for herself throughout her pregnancy, labor and birth. It is a substitute for direct verbal expression. Rather than focus on creating a birth plan, focus on the birth itself and what is needed to endure labor and delivery: courage, strength, and direct communication skills. If you are convinced that a birth plan will benefit you, use it, but don’t let it be a crutch.